You will love it or hate it! 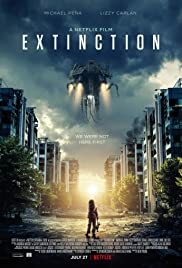 People may have seen alien invasion movies multiple times and this is no different.. Only things that make it different is about its narration and slight twist towards mid of the movie. Since its direct to home, production value look good as well as VFX. It will not feel like cheap sci fi movie... Can be a fun Friday flick!